The J Paul Company is one of the few providers that manufacture and build client awards in-house. We’ve been manufacturing employee awards since 1994 for companies and organizations across the United States. For even more ways we can customize your next award, check out our portfolio. Recognition award programs are at the heart of The J Paul Company, and we’ve built a full-scale employee awards manufacturing facility dedicated to crystal awards. Created right here in Dallas, Texas, J Paul delivers custom engraved crystal gifts and incentive awards for clients worldwide. J Paul delivers top quality crystal awards, glass awards, marble awards and award plaques of all kinds. J Paul clients receive impeccable service, timely delivery and affordable prices. The J Paul Company’s customization process takes your awards a step further with custom engraving and printing. Our engraving is expertly deep-etched by hand. Traditional awards not your style? 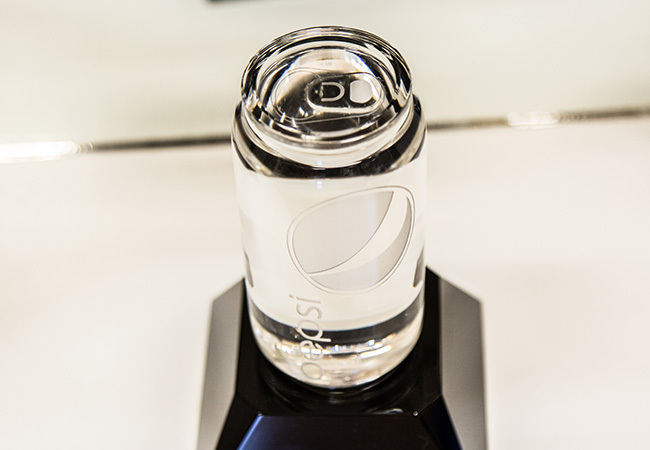 The crystal awards manufacturing process allows us to add another dimension of customization. When you’re looking for something high quality or unique to give to those who work hard for you, look no further than J Paul’s employee awards manufacturing team and facility. Whether it’s a glass diamond, a screen-printed handsaw, or a crystal big rig, our employee awards manufacturing process can create just about anything our clients imagine. In 1994, we started as an engraving company in the Galleria of Dallas. We brought our clients unique gifts and awards that were such high quality, our reputation and client demand began to grow. Employee awards manufacturing has been at the core of our business from the beginning. Since those days, we’ve grown to include a dedicated manufacturing facility. This ensures that our high quality standards will always be met. Whatever your vision might be, we are able to engrave, print and laser etch all kinds of materials for employee awards. If you choose to go wild with your designs, we can create them for you. From the very beginning of the process our team can help you build your ideal employee awards. Whether you’re looking for 1 or 1,000 awards, we can help you every step of the way. Our creative team can help you choose materials, shapes, fonts, graphics and everything else to make your awards truly unique to your brand. Our manufacturing team is dedicated to the craft and passionate about making sure we get your project done right the first time. Quality is a priority at every level of the employee awards manufacturing process. Each person that handles your pieces takes pride not only in the individual task, but in the final product as well. We work as a team to make sure you are even happier with the outcome than you imagined you could be. At J Paul, what we say is important, but what we do is everything. Let us bring your brand to life through crystal awards. Give your employees an award that you’re proud of.